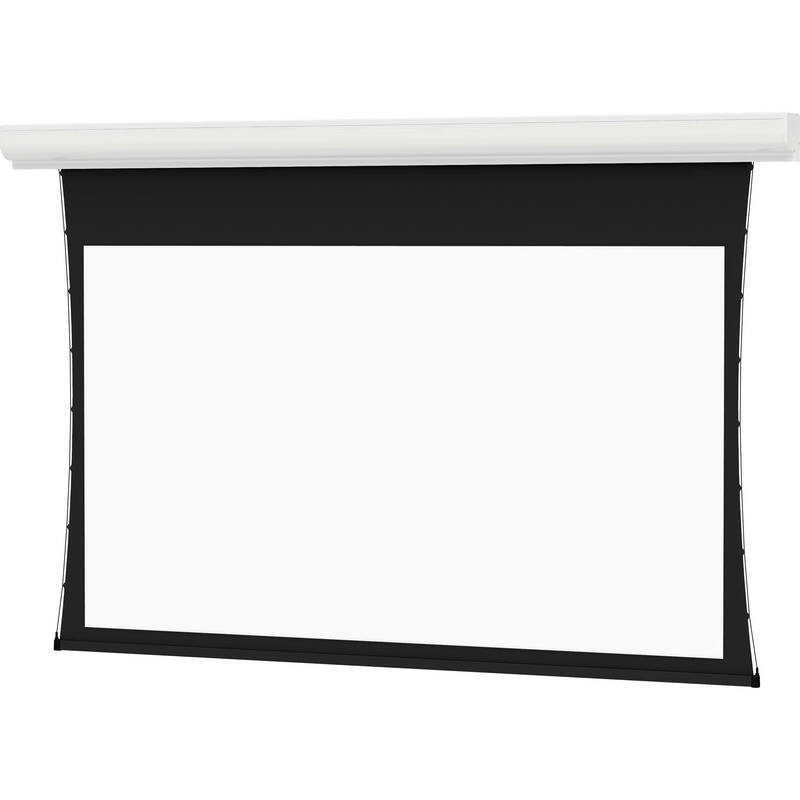 The Dalite 50 x 80" Contour Electrol Motorized Front or Rear Projection Screen makes a great addition to any school room or business boardroom. It features a strong extruded aluminum case which is available in either black, white or graphite finish. When not in use, this screen easily retracts into its case which can either be mounted on a wall or in the ceiling. The Contour Electrol is a beautiful addition to any installation. The motor is oiled-for-life and features an automatic thermal cut-off switch to help prevent overloads. In addition, the screen contains a unique braking system to stop it exactly where you want it. The junction box is incorporated into the housing to help with installation and facilitates connection to the building's power supply. A three-position switch controls the screen and contains a cover plate. The Silent Motor feature assures ultra quiet operation - a must for schools, libraries, hospitals and corporate boardrooms. This item is ONLY wired for 220V, European voltage. Box Dimensions (LxWxH) 109.75 x 13.0 x 10.0"